Item Number: H20-4890TL Have a question about this item? 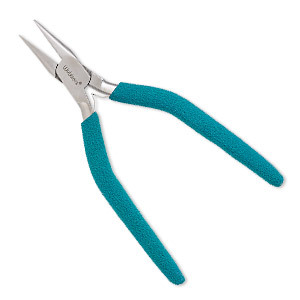 Enjoy quality, precision and ergonomic comfort with these customer-requested pliers from Tronex®. 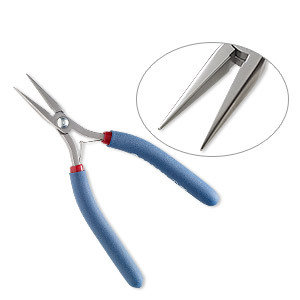 Chain-nose pliers are a must-have for jewelry makers especially those who use jumprings, create loops or wire-wrap. These chain-nose pliers have an incredibly fine tip and "eased" inner edges to extend gripping power along the long jaws. Pliers feature a bearing ring lap joint, stainless steel leaf springs and a polished finish.